In recent months, North Korea has attracted much world attention due to its nuclear program threatening its neighbors to the east and south. The official name of the country is Democratic People’s Republic of Korea (DPRK), although it is neither democratic nor a people’s republic. The state is run by Kim Jong-un, a tyrant with a Fred Flintstone haircut. He is effectively one of the last pure hereditary absolute monarchs on the planet. He is the Marshal of the DPRK, the Great Successor, and the Sun of the 21st Century. In his mid-30s, the Supreme Leader owns the longest list of excessive honorifics anywhere, every one of them unearned. He is the youngest head of state in the world and probably the most spoiled. Recently, US Defense Secretary Jim Mattis was in Seoul, South Korea where he said the threat of nuclear missile attack by North Korea is accelerating. With the South Korean defense minister Song Young-moo at his side, Mattis accused the DPRK of illegal and unnecessary missile and nuclear programs – and vowed to defeat any attack. Mattis said the North Korea engages in “outlaw” behavior and that the US will never accept a nuclear North Kores. He added that regardless of what the North Korea might try, it is overmatched by the firepower and cohesiveness of the decades-old US-South Korean alliance. Mattis has apparently forgotten the mere fact that the inferiority in firepower has not always deterred someone from being in the offense. North Korea, with mostly Buddhist/atheist population, considers its supreme leader Kim Jong-un as “a great person born of heaven”, a propaganda term only his father and grandfather had enjoyed. With no belief in God and accountability to Him, like his father and grandfather before him, the young leader has proven to be a despot and a ruthless murderer who tolerates no dissension. Kim has been brutally cracking down on dissent since he rose to power in late 2011. He is the brutal warden to more than 120,000 political prisoners, and has executed officials, and has successfully reduced the annual number of defectors. To solidify his control, he had his uncle, Jang Song Thaek, killed. Alexander Artamonov of Pravda summarizes some little-known facts about North Korea, which are worth noting. The North Korean chronology begins from the birth of Kim Il Sung, not Jesus Christ (or any other calendar). Today’s North Korea lives in the Year 105, not 2017. The first President of North Korea, Kim Il Sung, as stated in his official biography, was born on a volcano underneath a double rainbow, when a new star saw the light in the sky. It is believed that the founder of the DPRK was a “god-like gift from heaven” who learned to walk at a three-week age. On December 24, the DPRK celebrates the birthday of Kim Jong Il’s mother, the previous North Korean leader. They do not celebrate Christmas. Valentine’s Day in North Korea is known as the Generalissimo Day. It is celebrated on February 14 to honor the day when Kim Jong-il received the title “Generalissimo” posthumously in 2012. North Korea still practices public executions. In the DPRK, people work six days a week. During their only day off, the North Koreans “volunteer” to work for the glory of their motherland, so that there is virtually no such thing as weekend there. A North Korean national convicted of various crimes serves their sentence together with the whole family (“three generations punishment”). If children are born during this time, the next two generations are doomed to spend their whole life in prison. North Korean women have not been allowed to ride a bicycle since 1996, since the skirt should always cover their knees, and women are not allowed to wear trousers there. North Koreans are required to register their television sets with competent authorities. There are three television channels available, and one is strictly prohibited to watch something else. One does not allow to turn the government radio off even in one’s own house. One can only turn the volume down a bit. There are special units that track down those who listen to forbidden radio programs, and this crime is punishable by death. 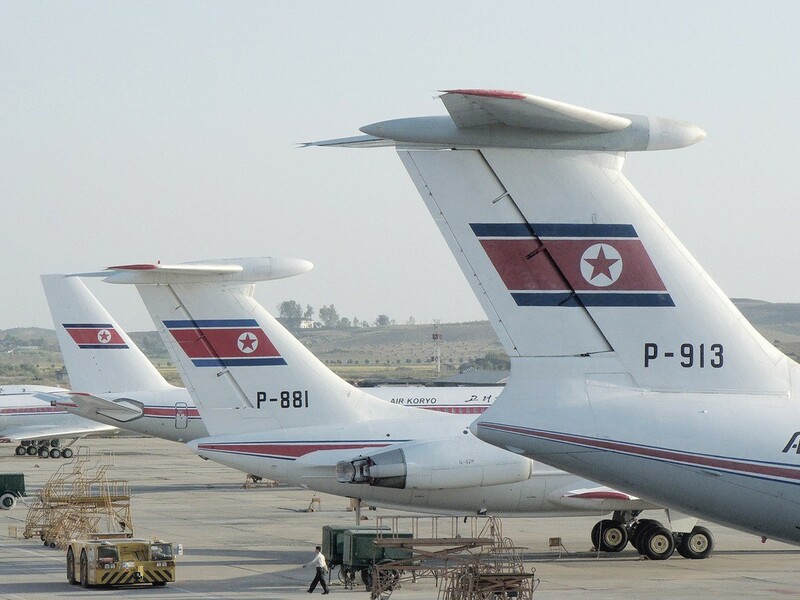 The DPRK spends about 30 percent of its budget on maintaining military power. By the mid-1990s, hundreds of thousands of North Koreans had died of starvation. North Koreans are allowed to wear only short hairstyles. There are 28 types of haircuts approved by the country’s administration: 18 for women and 10 for men. In the event of a fire, the first thing to rescue from a burning home must be portraits of DPRK leaders. Despite such tight controls, as many North Koreans go hungry citizens in this impoverished Stalinist state are believed to be getting more and more angry about conditions they have been subjected to. Many young North Koreans are reportedly increasingly hostile to the Kim dynasty and the authorities fear they may lash out at symbols of the murderous regime. Orders have been handed down to increase attention towards ‘eternal life’ towers (statues praising eternal President Kim Il Sung), oil paintings, and wall murals located all over the country. Lights are being used to illuminate statues and paintings of the Kim family dynasty and patrols have been increased to deter vandals. In recent days, there have also been numerous reports of attempted coups and assassination attempts in North Korea. But I doubt if such attempts would ever succeed without outside help or manipulation. As we have seen in Buddhist Myanmar with its murderous leaders – both military and civilian – ordinary citizens, having lived under tyranny for generations, become too gullible and see their rulers mostly as benign saviors – mini-Buddha like ‘heavenly’ personalities, and are willing to believe in government propaganda no matter how untrue such are! North Korea’s nuclear program is exploited by the regime as its best hope for maintaining power and evading its citizen’s basic needs. They are continuously reminded how the supreme leader is protecting them from the unfriendly world that they live in. In such an environ, Kim’s countrymen are expected to die, if required, in the name of the government and the ideas that it follows – these are characteristic features of the people living in the DPRK. The poor North Koreans! Will they ever see a real change for the better?